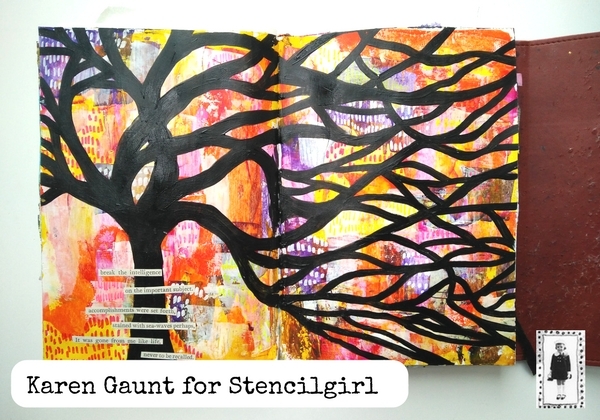 Hello Stencilgirl fans it's Karen here and I am so happy to be back again on Stencilgirl Talk to share with you another project that I hope you will really enjoy. I'm working with the Windswept Tree Stencil by Cathy Taylor. 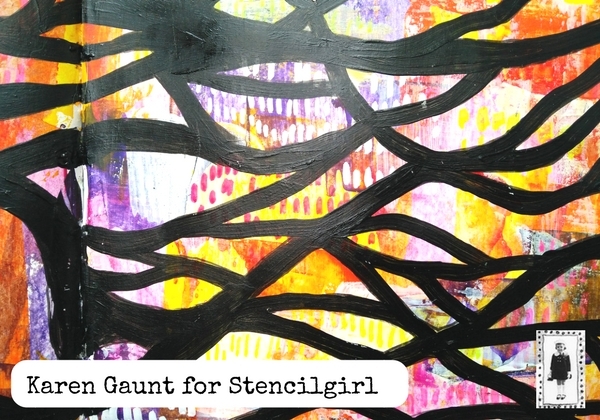 This stencil really stood out for me when I had to choose some new ones for this new term with Stencilgirl. It's so graphic and just gorgeous. When I sat down to make my journal page I was in the mood to tune out and get lost in my work. The page I made was not a quick one but it was so nice to get lost in the work and in the painting. It was almost a meditative process for me and a perfect one to just enjoy the process. I hope that you enjoy the video and that it inspires you to try out this technique. It's time consuming but so worth it in the end!